Ms. Kimbrough, a native of Mobile, Alabama, joined The Kullman Firm in 2013. 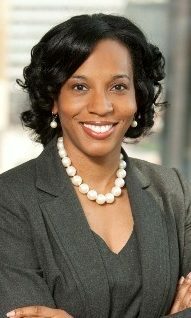 Prior to joining the firm, Ms. Kimbrough was employed as an Associate General Counsel for the University of Arkansas System where she defended two and four year colleges and universities in employment discrimination litigation and counseled university administrators in an effort to avoid litigation and ensure compliance with federal and state employment laws. Before working with the University of Arkansas, Ms. Kimbrough was in private practice where she represented corporate, municipal, and nonprofit employers in federal court and before administrative bodies. In addition to her litigation experience, Ms. Kimbrough has provided advice to employers regarding personnel policies, leave issues, and discipline and discharge matters. Ms. Kimbrough currently represents employers in various areas of labor and employment law.